President Rodrigo Duterte may sound firm in implementing the laws of the land but he’s not a dictator. Just like the late President Ferdinand E. Marcos, detractors call him dictator when the real authoritarian rulers are the pro-communists. In a democratic country, the rule of law must be implemented to maintain order. Now that the Philippines already has a top leader with political will, critics try to bring him down to mislead the public. [VIDEO]: Human rights watchdog group Karapatan says the effigy depicts the ‘resurrection and rehabilitation of the Marcoses’ and concerns over the rise in extrajudicial killings. Ferdinand E. Marcos’ 20-year rule says it all. The rising economy, effective infrastructures, quality public services and fair opportunities are just a few of his achievements. He thinks about the welfare of the Filipinos in everything that he does. Unlike in today’s politics, many politicians are defending its political party than the interest of its citizens. This is the reason why there are anti-Marcos and Duterte. They cannot accept the fact that the Liberal Party’s reign is over. They better sit tight because they really cannot handle it when Bongbong Marcos takes over. President Duterte is not happy with regards to innocent lives being sacrificed during police operations. He is very sorry for this so-called collateral damage. It is not justifiable to have killed one in the process of saving many lives – but sometimes, such accident happens and must not be tolerated. President Duterte made a point telling people why look up to America when they cannot even solve their own problems? He cited issues with refugees, discrimination, and police abuses especially when it comes to black Americans. Why interfere with the country’s internal problem-solving process? Many Filipinos are so inclined to the colonial mentality that it made them fearful to think that Americans will not back up Filipinos anymore. To the contrary, the President has the same inquiry to the Americans as the late Marcos. They have occupied the military bases in the Philippines for many years but what good does it bring to the Filipinos? Senator Juan Ponce Enrile made it clear that the EDSA revolution was the right thing to do at that time to preserve peace. 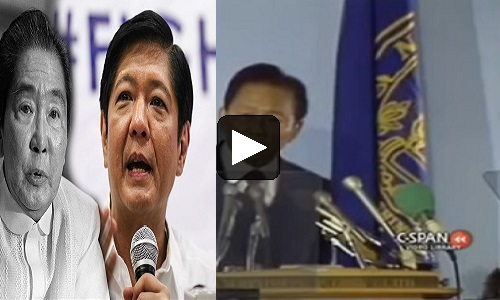 The late President Ferdinand E. Marcos also complied with his suggestion by stepping down. The Aquinos were not there so they do not know what they’re saying. Only Butch Aquino was there during Martial Law. [VIDEO]: Anti-Marcos burial protests at the People Power Monument in EDSA on Wednesday, November 30. Millennials dominate the rally alongside prominent activists during the Marcos era. Enrile calls the anti-Marcos supporters idiots. They do not know the fact that they are still enjoying the works of the late president Marcos. They are accusing them of the wrong accusations. Corruption and negligence in governance must be directed to the Aquinos and not to the Marcoses. Military abuses may have happened but not to the extent of what the Liberal Party is portraying. Protesters better file cases first if they really have a Martial Law case than make unnecessary demonstrations that won’t help them. The governments after the Edsa revolution did not serve the purposed why it was staged. They should have performed better than Marcos but they are even not at par. They are noted as “palpak” or failed governments. Senator Juan Ponce Enrile was there during the late President Ferdinand E. Marcos’ era since 1966. He was vital in his administration and disclosing everything now that his life is ripe. He said that whatever Filipinos are enjoying today are the works of Marcos during the Martial Law period. [VIDEO]: Para sa Walang Alam!Tunay na Kahulugan ng MARTIAL LAW, Isiniwalat ni Sen. Enrile! Martial Law was not proclaimed by Ferdinand E. Marcos by himself. It went into a lenghty process. It was well studied and recommended by Senator Enrile himself. It put order into the country and minimized troubles through discipline. Why would one of the main organizers of the Edsa revolution in the person of Enrile side Marcos himself? Enrile attested that even if Marcos did all the right moves, the people are in chaos over the death of Ninoy Aquino, and it was essential for the late president to step down to pacify the people. If Enrile had an hindsight before, he will not hesitate to arrest all the Liberal Party members. He already know now that they are the culprits. During Marcos’ time, they did not know who the enemies were. Enrile’ life was also threatened many times. He did not stage an ambush. It was real! Martial Law, according to Enrile was initially supported by the majority of the Filipinos. It solved the corruption problem. Put order into the country through discipline. The lands were reformed, infrastructure projects were facilitated efficiently. 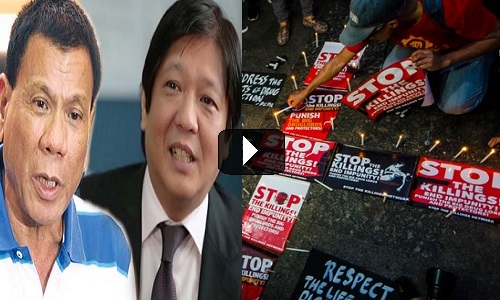 It was in fact, Marcos’ self sacrifice because he has turned his back to the elite. All for the welfare of the Filipino masses. All sectors of the government during the late Ferdinand E. Marcos’ time approved of the Martial Law declaration from the judiciary to the senate. Marcos’ job was only to proclaim it. It was studied and suggested by Senator Juan Ponce Enrile who was Secretary of Defense at that time. He was also the legal consultant of the late president. He agrees with what Marcos said that it was necessary because there was anarchy in the country. 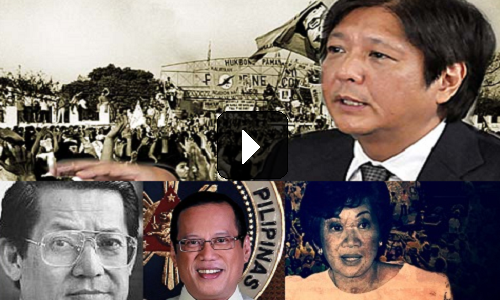 [VIDEO]: The Hidden Truth About Martial Law in the Philippines! Not being published by books and the TV/radio media! Watch, listen and comprehend. Allegations of corruptions were verified by the Ombudsman. 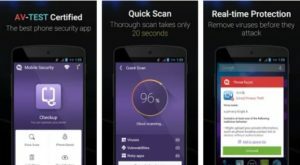 Cases were filed to those with concrete evidence. To this date, the Ombudsman still exist but many high profile cases like the alleged Binay corruption cannot stand in court due to lack of evidence. Just hearsays and mere senate dramas. The same thing with the alleged massacres during Martial Law. If there were really massacres. why don’t the victims’ families file cases when they were given free legal assistance by two Aquino governments? Marcos never quoted a lump sum for the rental of the American bases. The late president negotiated that it should not be called US aid rather rental for the venue of the American military presence in Southeast Asia. Land reforms were initiated. Agriculture and fisheries were developed. Abundant yields generate from those projects. Rice was exported that very age. The country was the leading economic tiger during Martial Law Days. Most of the infrastructures then are still enjoyed by the present generation. In fact, no new infrastructures in the country can ever surpass the greatness of those built by Marcos through the brilliance of his Secretary for Public Works and Highways, Jesus Hipolito. Martial Law was not only Marcos’ doing. The cabinet discussed the matter agreed with the military. All sectors agreed that Martial Law was needed to rescue and restore the country. Enrile’s supporting EDSA was for the country to survive and save the Marcos family as well. Different things are told by people who did not really experience Martial Law. People who were arrested created trouble. If they are really victims of abuses, they should have filed cases. 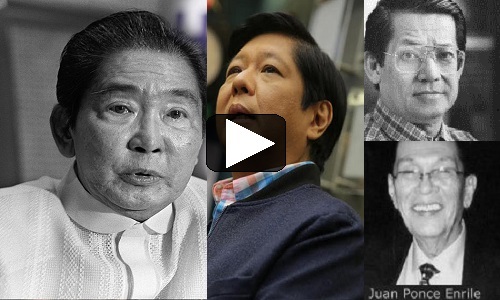 Learn from Enrile on the Bongbong Marcos Take Over: Know your Enemies – see the Video who they Are! Senator Juan Ponce Enrile who was dubbed as a Marcos traitor was actually his protector. Many Filipinos are blinded with the fact that he has never changed his heart to the strongman despite not knowing anymore who the enemies were – after Cory Aquino appointed him as one of her cabinet members. So, learning from his experience would be beneficial in knowing the real enemies of the country with or without knowing it. [VIDEO]: Ang naloko noon ng mga yellow ribbon at sa panahon ngayon.. isa ba kayo sa kanila? How could the Catholic church lay men and women cannot discern who is right or wrong? Why did they allow their establishment to be corrupted with the political agenda’s of the yellow race? No wonder, many Filipinos are changing religion. Others who cannot decide rather become Atheist or just study the bible themselves rather than be a part of a big cult who are interfering with the government. These are the very passionate groups of anti-government factions who would even die for their misleading belief. Most of them government scholars who should have the brains to discern – but got misaligned because of the wrong influence. The Liberal Party’s strategy is giving them the limelight. Even give them credits of rallies and protests that they did not organize. They were simply there to show their talents and strong spirits without checking the full background of what they are fighting about. Parents must be vigilant in this scenario because the young minds are easily influenced especially when they get the company of these users more than their family. Mar Roxas challenged President Rodrigo Duterte to stop talking too much and solve the many problems of the government instead. However, despite not winning as Vice President of Pnoy, he was still the the right hand of the former president and setting aside Binay for 6 long years. Why did they not use that length of time to solve the problems in the country? The Inquirer recently reported a review on the possibility of Bongbong Marcos takeover, saying that there’s a slim chance. However, they forgot that it’s now the opposite side that is reigning and not the yellow race anymore. The president himself is also a lawyer knowledgeable of the law. When an entity is supported by the people and not destroyed anymore by media propaganda because of social media, it will be difficult already for the Liberal Party to do what they did with the older Marcos. Enrile is now very vocal in divulging the the culprits after feeling safe with a like-minded government!